Editor's note: This story was originally reported in April of 2011. Out of the countless ocean-side paradises throughout the world one would think that the top 10 beaches would be in the Caribbean, the South Pacific, along the Mediterranean coast and…New Jersey? Yup. Trip Advisor has named Cape May Beach the second best in the nation and the ninth in the world. 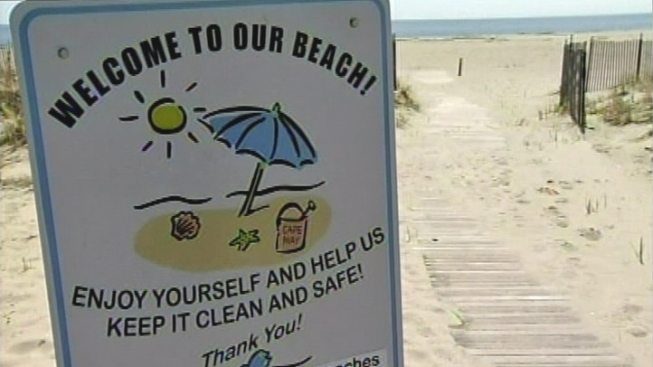 How Do NJ Beaches Rank in 2013? Beating out Costa Rica, Maldives on the Indian Ocean, Bora Bora, and Cyprus, just to name a few, this New Jersey shore town is lauded for it’s lack of “Jersey Shore” environment that includes Victorian mansions and a famous lighthouse. The only U.S. beach to beat out Cape May is Myrtle Beach, South Carolina. Trip Advisor names Providenciales, on Turks and Caicos, the number one beach in the world. The list of top beach destinations in the world is part of the website’s “Traveler’s Choice Awards” and it's based on reviews submitted by the 20 million members who use the site. Maybe the 8.7 million population of New Jersey helped out with the final choices. We doubt there are a lot of Fijians that belong to Trip Advisor.